The AmigaOne is the first real new Amiga computer in a decade. It is a PowerPC system that emulates classic 680x0 Amiga programs, and runs Classic Amiga programs for PowerPC. However the classic Amiga chip set is optional, so programs should use Picasso 96 RTG and AHI API's for graphics and sound. 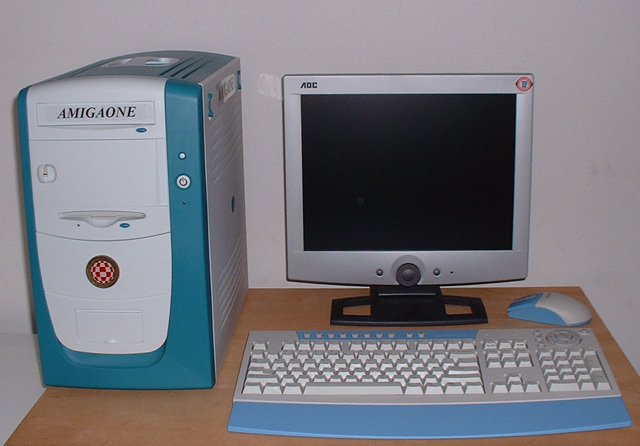 This is the AmigaOne I assembled. 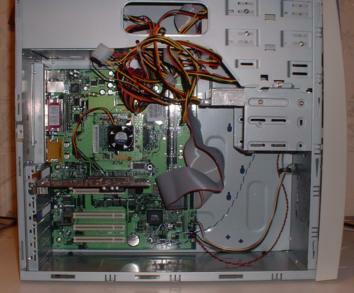 The components where suplied by Computer City. The Amiga dealer for the BeNeLux. Note that before the 2nd picture was made the A1 and Peg motherboards swapped cases, because of size and heat concerns. Cherry wireless mouse/keyboard "Amiga edition"